Some streets are unavoidable, almost magnetic, like Oxford Street in London, or Broadway in New York. Poland’s cities are no exception to this, though some of their names might be trickier to understand. Culture.pl explains where such unobvious and prominent names come from and gives you the lowdown on the streets themselves. Krakowskie Przedmieście is an important street in Lublin. 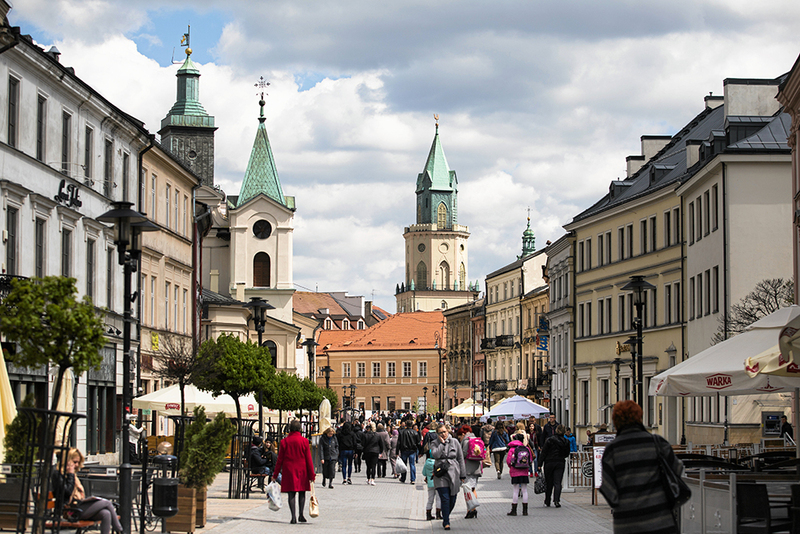 This eastern city’s history reaches all the way back to the 13th century, making it one of the oldest cities in Poland. 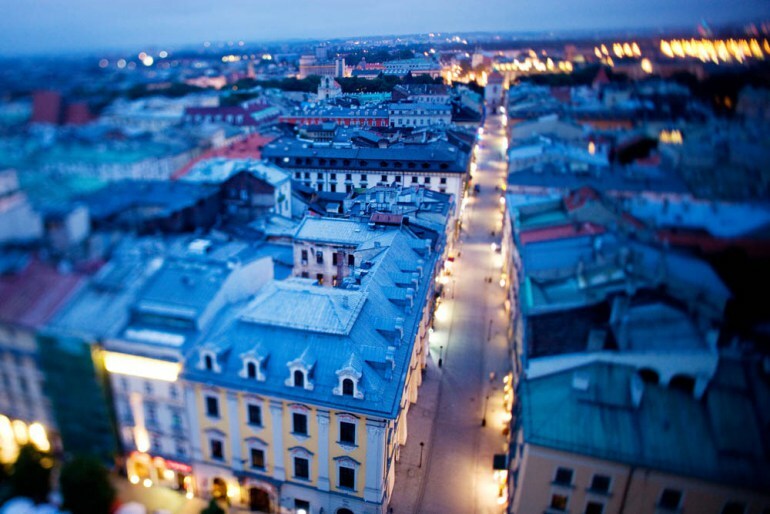 The name of the street translates into ‘Kraków Suburb’ and is also very ancient – it originated in the Middle Ages when the area to the west of today’s Old Town was situated outside the actual city and constituted its suburb. An important route began through this area to Kraków, the capital of Poland at the time, and (in all probability) to make things simpler, both the route and the suburb got the same name – ‘Kraków Suburb’. Today, this picturesque street full of historical architecture still bears that name even though it now lies very centrally due to the much-expanded city limits. One of Lublin’s famous highlights lies at its eastern end: the magnificent 14th-century Brama Krakowska or ‘Kraków Gate’ guarding the entrance to the Old Town. Just like Lublin, the city of Warsaw also has its own Kraków Suburb Street with very similar Mediaeval origins. The beautiful artery leads south (toward Kraków) starting from where the Old Town ends, but it never reaches its eponymous destination, changing into Nowy Świat after about a kilometre or so. 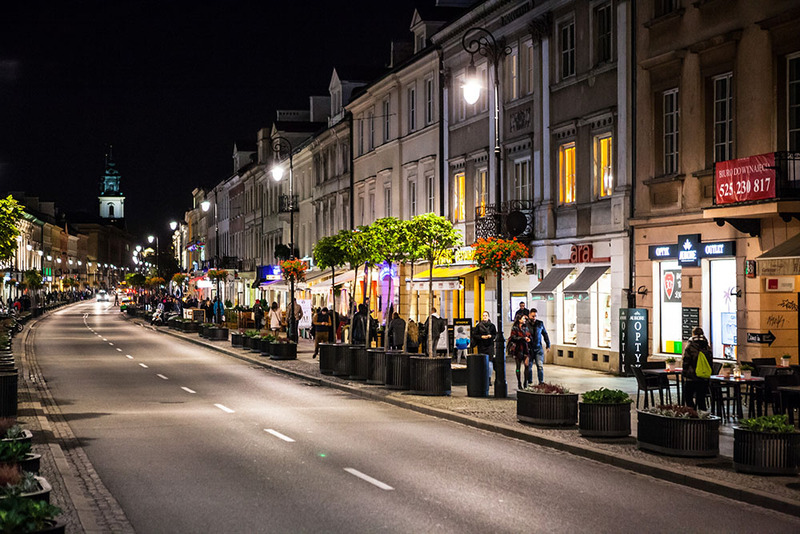 The name of this prominent street translates into ‘New World’ and dates back to the 17th century when the first wooden dwellings started sprouting in this area turning it de facto into the new suburb of Warsaw. The newness of the whole area is, of course, long gone by now but nevertheless remains encapsulated in the name of the main street that goes through it. Today New World Street attracts many tourists with its historical architecture as well as party-goers that come for the abundance of bars and clubs that operate in its vicinity. Contrary to Lublin, the seashore Gdynia is one of the younger Polish cities – it gained city rights only on 10th February 1926. 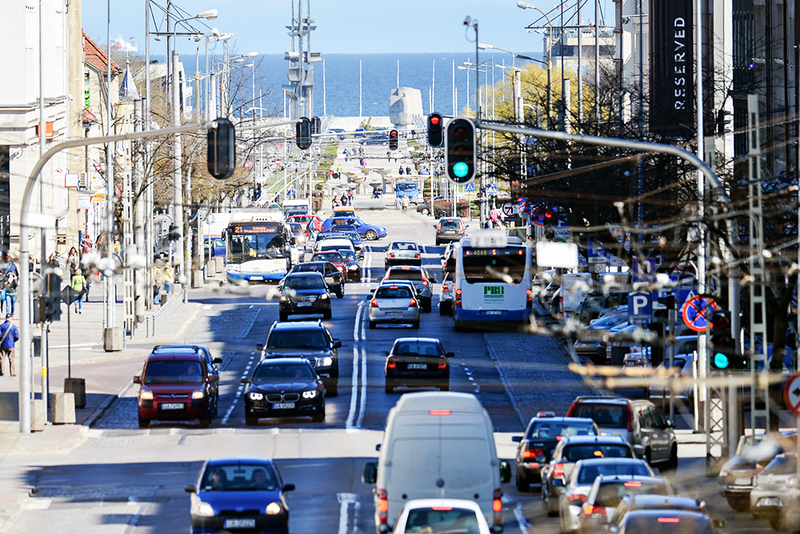 But it is a different 10th February that is being commemorated by the name of one the city’s main arteries, Gdynia’s representative 10th February Street (ulica 10 Lutego in Polish). That other 10th February date occurred six years earlier when the Polish Army finalised its efforts to secure the approximately 150-kilometre-long strip of the Baltic seashore granted Poland by the Versailles treaty. It was then that General Józef Haller, in charge of the whole operation, threw a platinum ring into the Baltic sea symbolically wedding it to Poland. When you follow 10th February Street to the east, passing Kościuszko Square and John Paul II Avenue, which all make up an impressive urban axis, you end up at the tip of an elegant pier. There you’ll find a granite Joseph Conrad monument, its shape reminiscent of a ship’s set sail. Ulica Stawowa in the southern city of Katowice also has an origin linked to a body of water, though a substantially smaller one. The name of this central street translates to ‘Pond Street’ and is reminiscent of a foundry pond that once existed on its northern end. Katowice in the mid-19th century, then part of Prussia, was undergoing rapid industrialisation manifesting itself in the appearance of facilities like foundries and mines. The street in those Prussian days was called ‘Teichstrasse’ (German for ‘Pond Street’). Today, there is no foundry at the end of this street – it’s gone and the pond with it. What’s left though is a picturesque street that for the better part is a commercial pedestrian zone. Strolling through it one may behold a number of historical tenement houses as well as a nifty fountain with a sculpture of a frog that alludes to the area’s beginnings. Another prominent Polish street that derives its name from an object lying to its north end is ulica Floriańska or Florian Street in Kraków. This ancient street dating back to the 13th century leads from the city’s famous Main Square to the Mediaeval Florian Gate. Another 350 metres or so in the same direction is St. Florian Church, from which the street got its name. Rather intriguingly, the church doesn’t stand in its eponymous street but in Warsaw Street, the reason for this being the changes in the city’s layout that occurred over the long years of Floriańska Street’s existence. It’s worth pointing out however that the 18th-century baroque temple, one of Kraków’s many splendid monuments, has an even longer history than the venerable Floriańska Street. The earliest incarnation of the church, a Romanesque one, was initiated on this spot in 1184. Kraków was the capital of Poland from about 1040 to 1596, after which Warsaw took over the function. Before Kraków, it was the city of Gniezno that played this important role from the year 966, making it Poland’s first ever capital. About 50 kilometres to the west of Gniezno lies the city of Poznań, also a capital, but only of the vast Greater Poland region, not the entire country. One of the most prominent streets in town is the commercial ulica Półwiejska or ‘Half-Village Street’, a picturesque pedestrian artery that cuts through Poznań’s historical centre. The area around it used to lie outside of Mediaeval Poznań and was where a settlement called Półwieś or ‘Half-Village’ was located. Apparently the hamlet was so closely tied to Poznań that it seemed like a village only in half, with the other half being more like a part of the city. Built next to a road leading south to the city of Wrocław, the settlement is the origin of the name ‘Half-Village Street’. Wrocław itself is also a rather ancient city as the first written mention of it (in a papal bull) dates back to the year 1000 when the town was under Polish rule. In its long history, it was also part of Czechia, the Habsburg Empire and Prussia and consequently many of its street names are of German origin. One such name is ulica Nożownicza or ‘Messergasse’ in German. The Polish name may easily be understood both as ‘Knifer Street’ or ‘Cutler Street’. At first, many leap to the first meaning, believing this atmospheric Old Town street has some cutthroat story behind it, especially if they hear that before ‘Messergasse’ got its official name somewhere around 1419, the locals simply called it ‘the alley behind the prison’ (at the time, a prison was nearby). But in fact, the street was simply given its name because many cutlers plied their cutlery-making trade here in the old days. 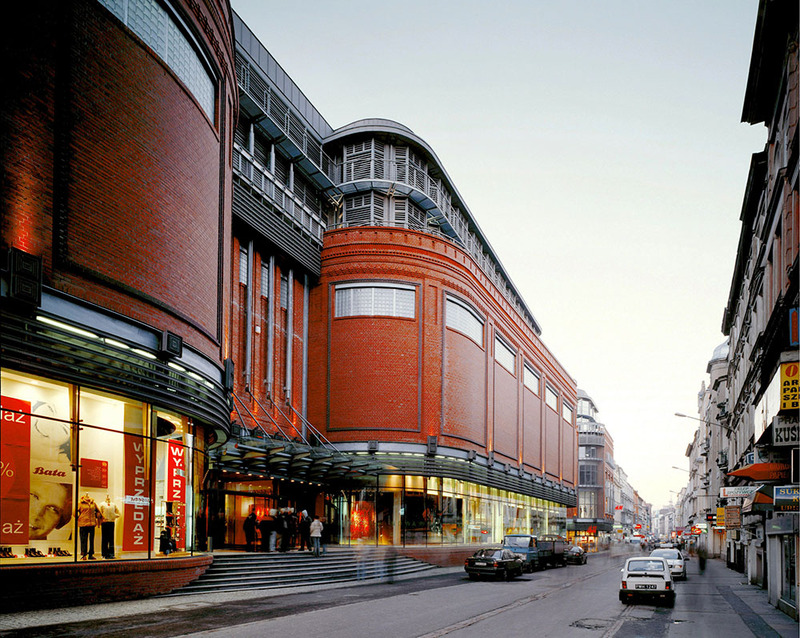 Like Katowice, the city of Łódź in central Poland began to industrialise quickly in the second half of the 19th century. In a matter of decades, it turned from a provincial town into a major textile-production metropolis. The city grew along a trade route leading south from the town of Łęczyca to the town of Piotrków Trybunalski, with this road eventually transforming into the city’s main artery. 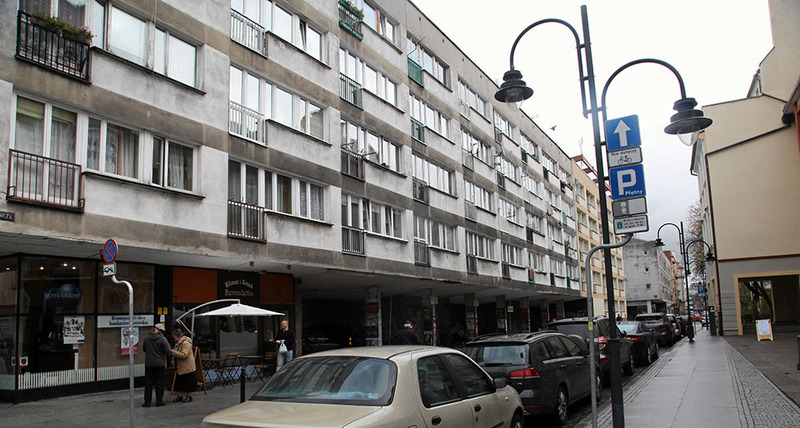 The old route’s destination is called on in the name of the street, ulica Piotrkowska or ‘Piotrkowska Street’. Today it is one of the most characteristic parts of the city, with much of it pedestrianised and buzzing with activity. 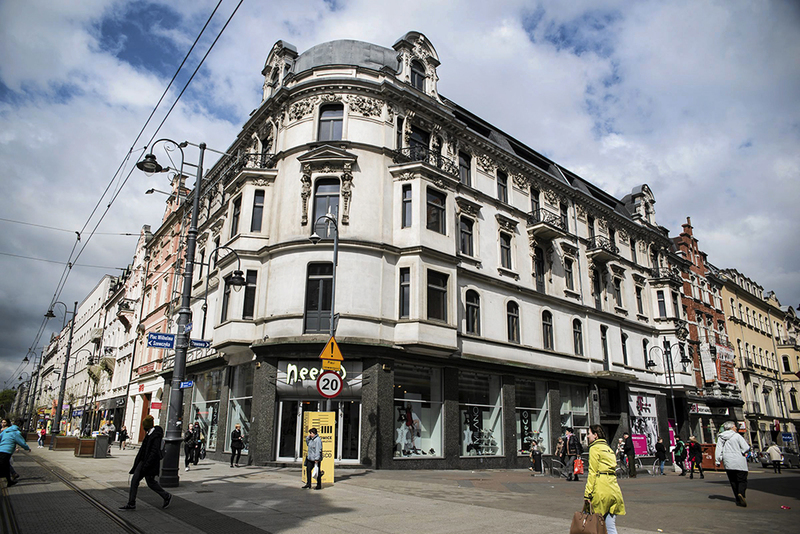 Leading for over 4 kilometres through the centre of Łódź, it is lined by numerous historical tenement houses, with the Art Nouveau ones especially worth mentioning. 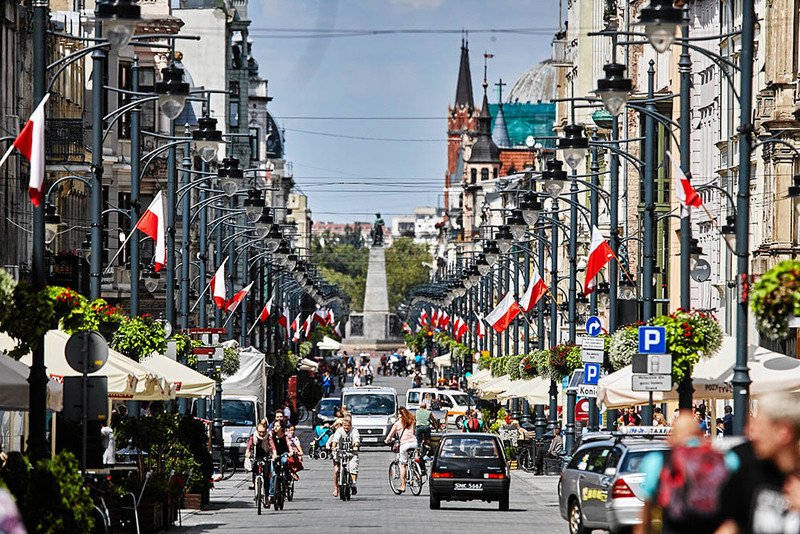 Also, many pubs and restaurants operate in Piotrkowska Street making it a favourite for people looking to have fun.